189 p., 17,0 x 20,9 cm. Based on Hegel’s premises, the logic of categories was revised. 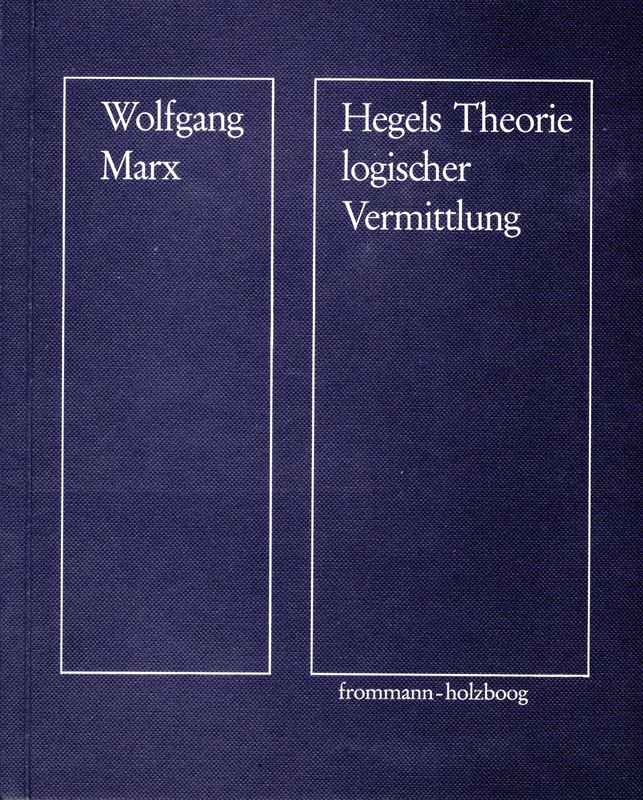 Rational strategies are useless for a construction of categories which sustain the system as well as for an indispensable Sphärendifferenzierung (differentiation of spheres) of the logical in the dialectical system. The analyses set the structure of the dialectical theory by exposing absurd prerequisites for the procedure of dialectical proof. This elimination of logically incorrect principles makes the significance of the theory of categories, which is unrivalled in its wealth of nuances, identifiable, and enables a reception of Hegel’s insights which is free of metaphysical expectations.